Come by yourself, or with friends. Please bring soft soled shoes for dancing! 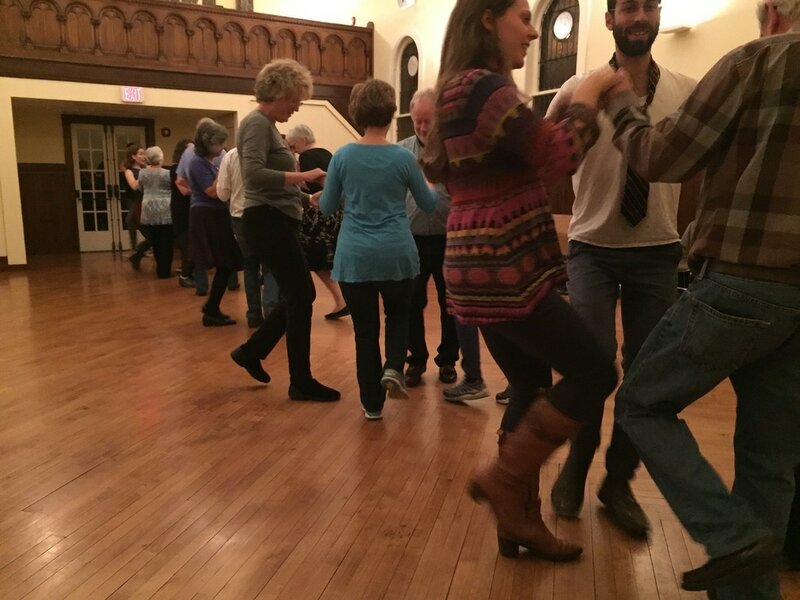 We are a friendly group of dancers, and encourage new folks, as well as friends and family members to join us! Dancers having a great time at the Outermost Contra!